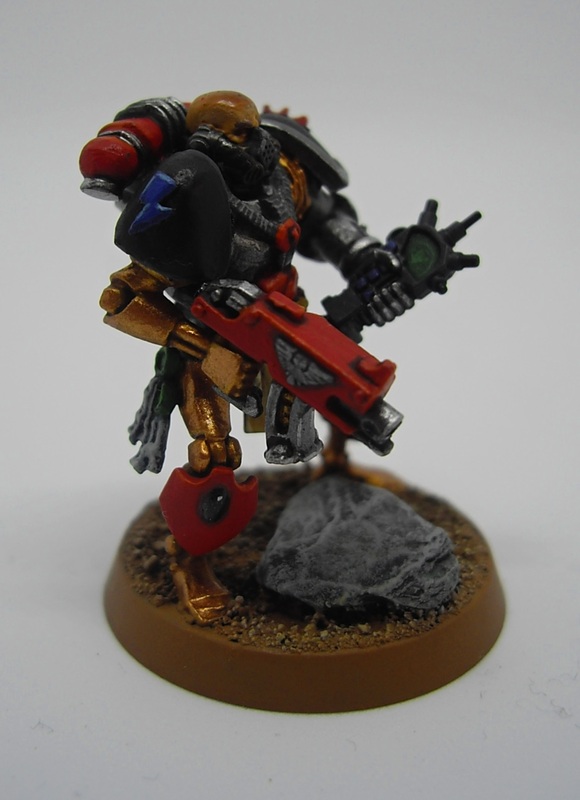 I’ve had this guy assembled for ages, but finally got around to actually painting him. 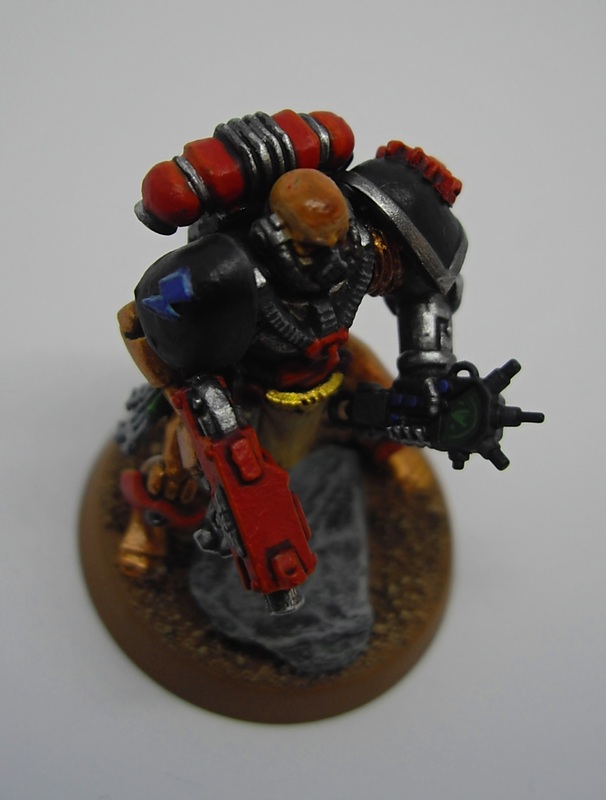 He’s Sergeant Grymm, one of Captain Stratos’s close confidants and a third of his Triune. He lost both legs and an arm fighting Tyranids. 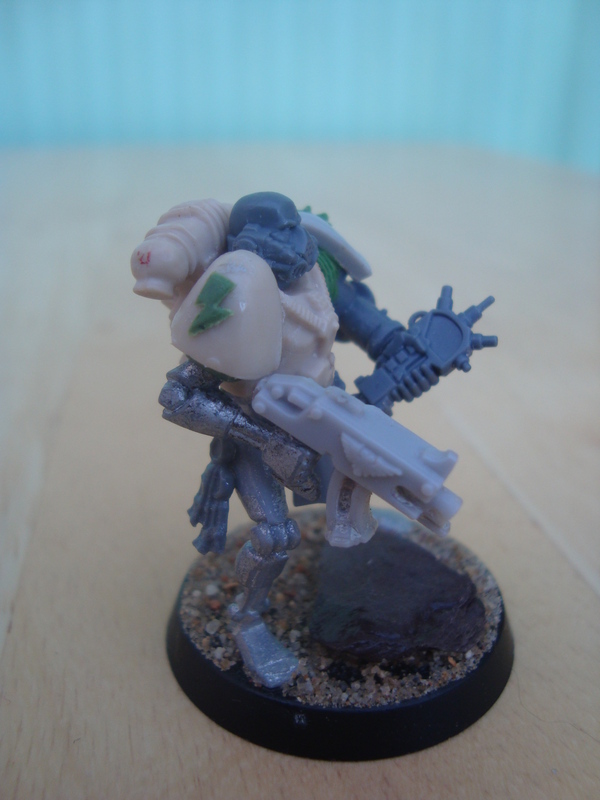 He wears the face mask after a Tyranid spat acid into his face and damaged his lungs. And here are a few shots of him before painting. 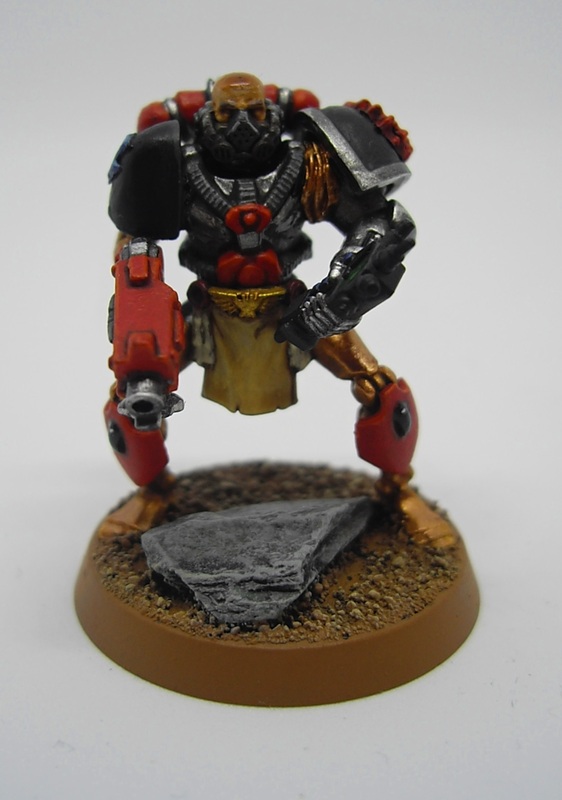 He’s got an old RTB01 body, Necron warrior legs and one arm, the head is from the current Tactical Squad box (or was it from the Vanguard box?) 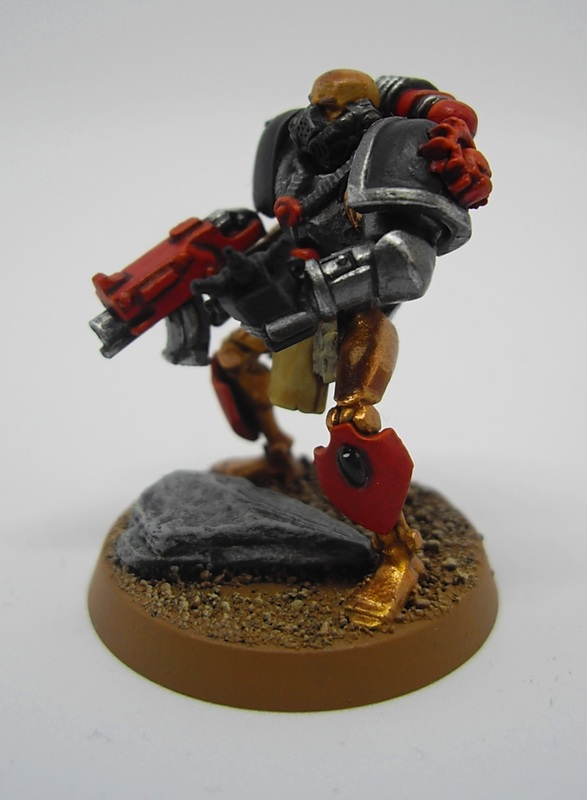 and since these photos were taken, I added some leg armour which are shields from the Eldar Wraithguard box. The legs were just too skinny without them! This one’s been on the go for a while. 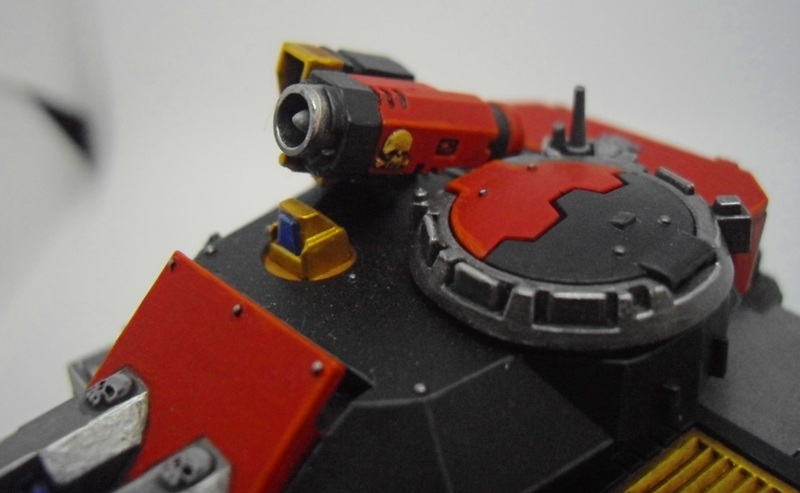 I just needed to get some of the options – like the pintle-mounted storm bolter and hunter killer missile – finished off. 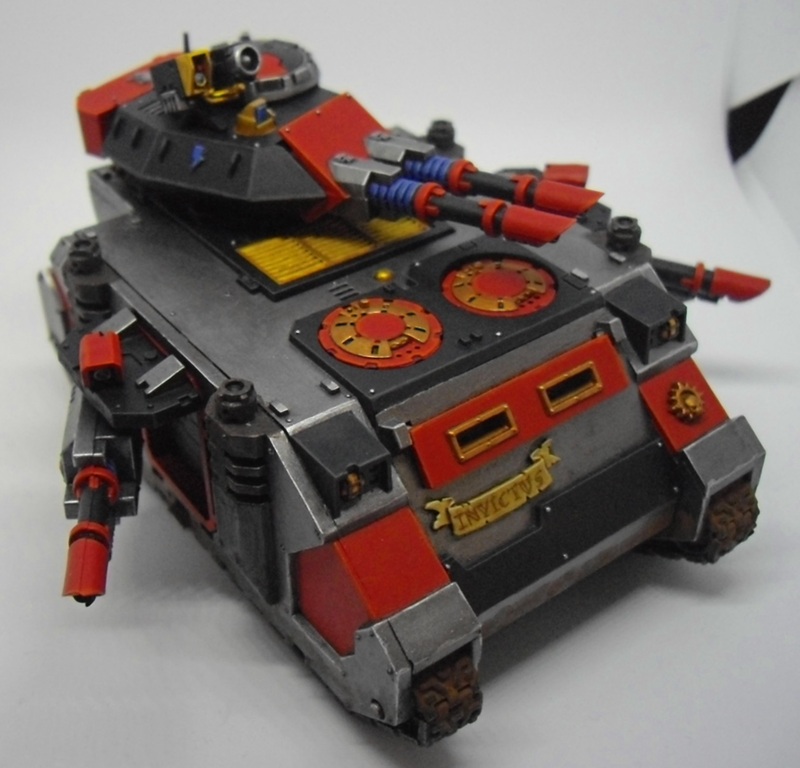 Both side sponsons, the guns on the sponsons, the turret/gun/top hatch and the storm bolter are all magnetised. And the radar/hunter killer missile atop the turret are held in place with a pin. 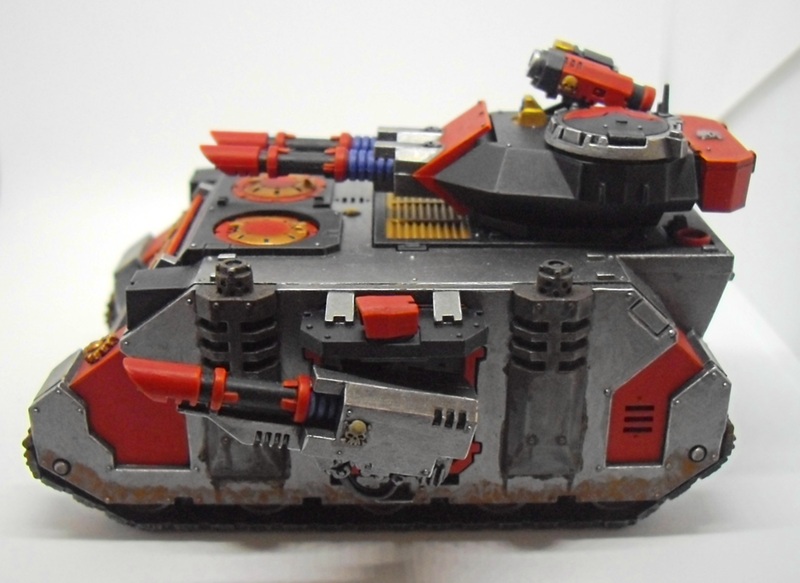 This means I can swap out everything and change this between a Predator, Razorback or Rhino. 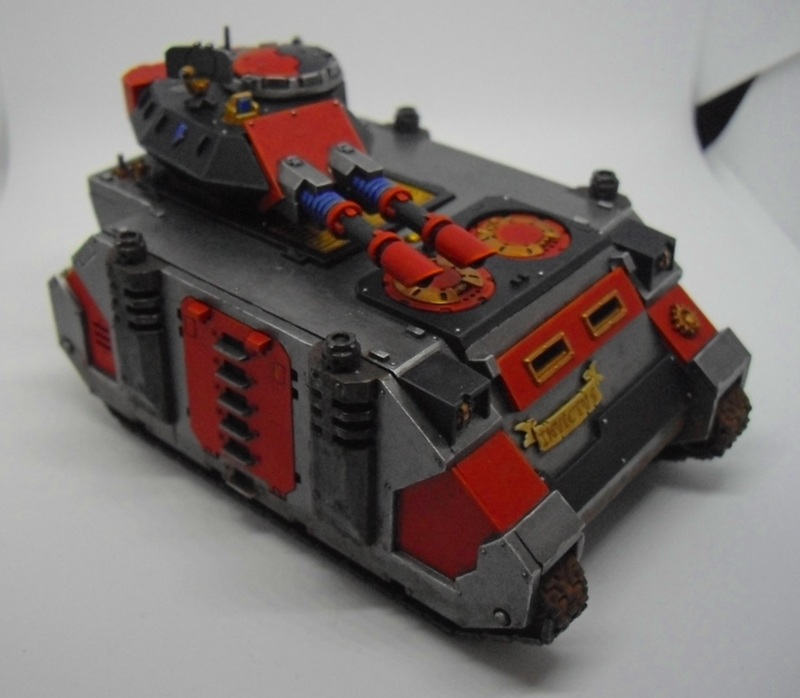 I have the autocannon and heavy bolters for the Predator magnetised, but not painted up. If I find I want to use them, I’ll get them painted. 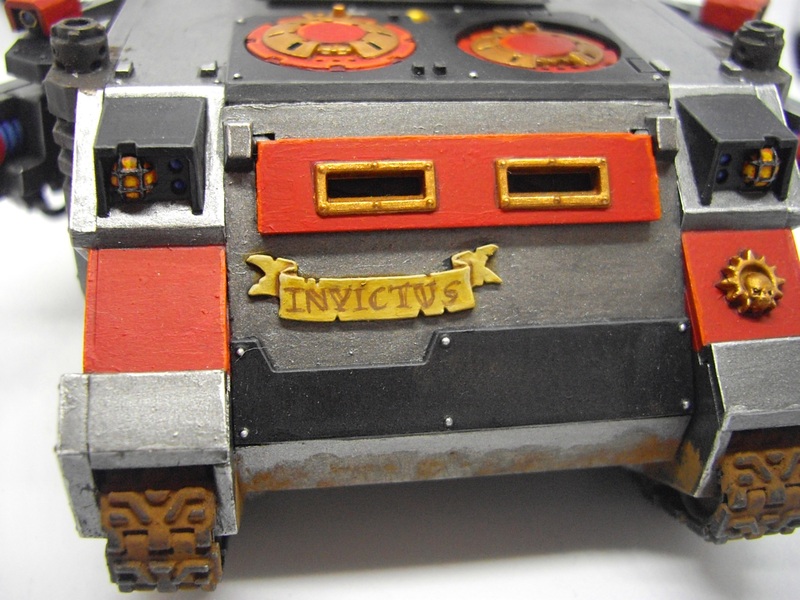 And I’ve called the tank Invictus – Latin for ‘unconquered’ or ‘invincible’ – after some pretty good showings in a few games. 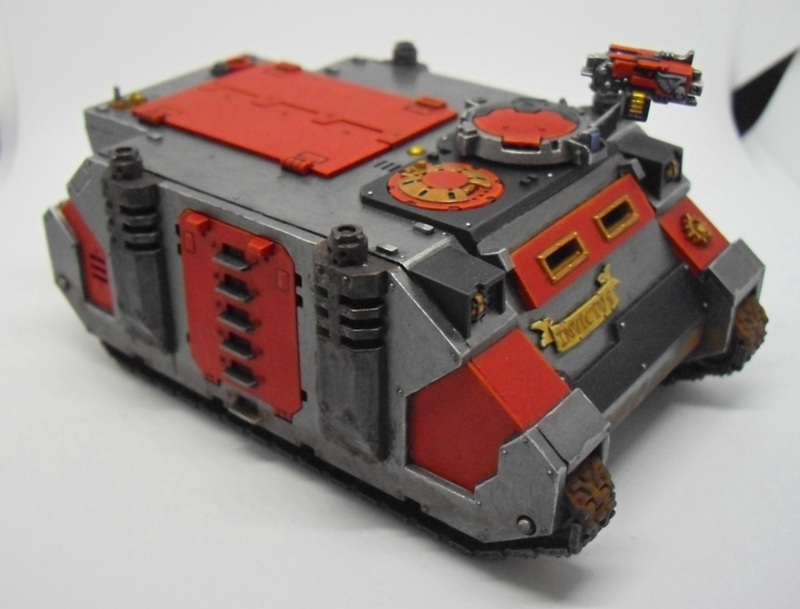 Let’s see how it holds up in 8th ed! 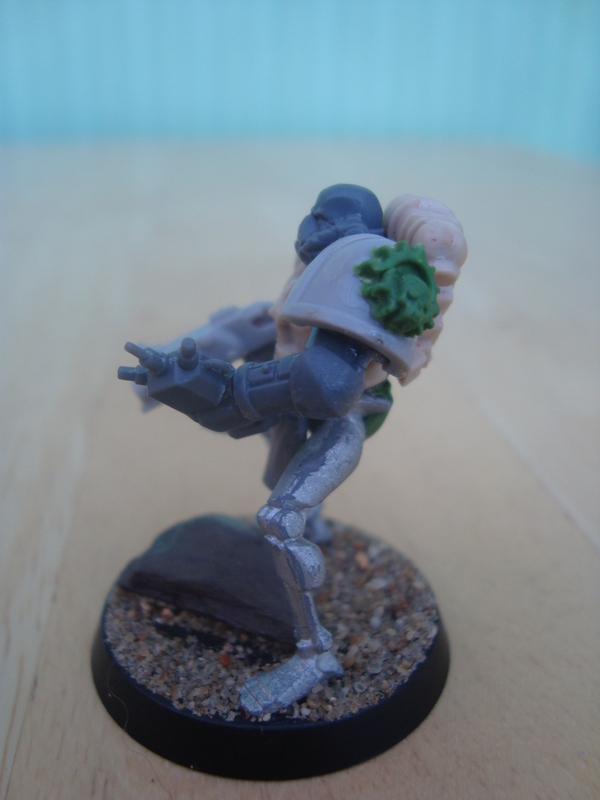 Oh, and to see more on the magnetising, look here.